The light that glows on surfaces and environtment is too bright. I really dont like it and it is never seen in the actual movies or series. 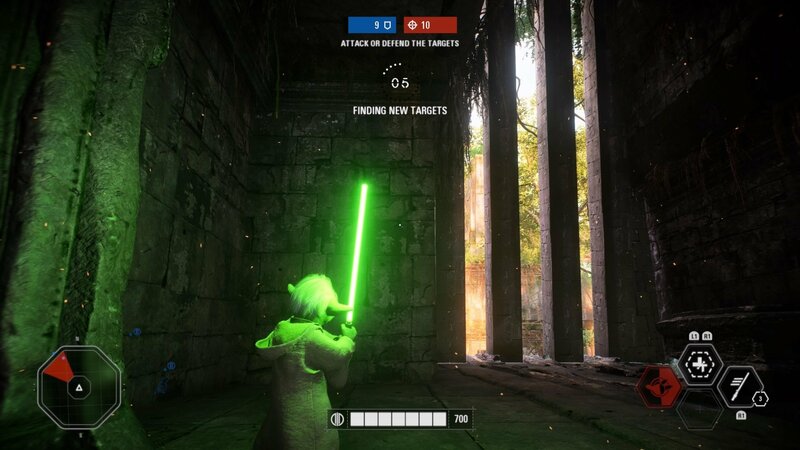 The glow on Yodas face is so bright is ruins the look, and hes already green enough right. Saber heroes are walking lanterns in a way currently. Bobas fire melee is so damn bright is makes a big light circle on the ground it just looks s tupid come on. Even the previous Battlefront doesnt have this overdone light glow. 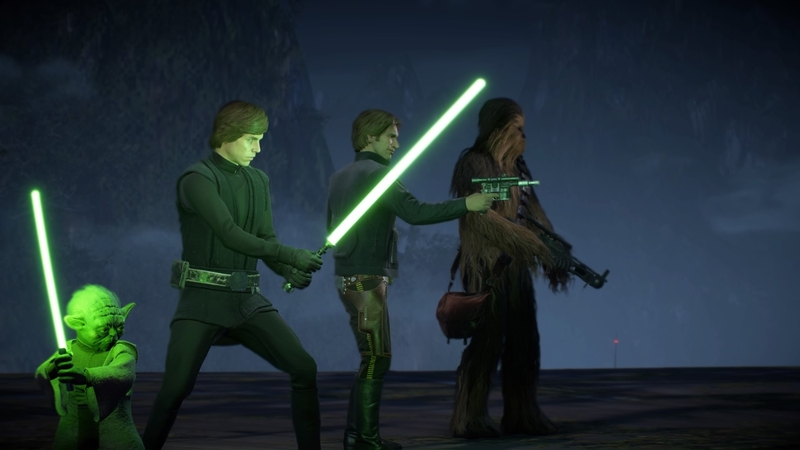 Saber glow was perfectly done in the last battlefront, don't know how they could have made it worse in this game. It even glows underneath solid walls. 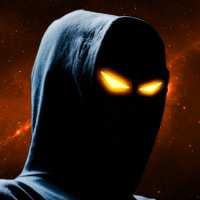 Also like Vaders body is almost completely red from the glow and previously it wasnt like that in the same game even. 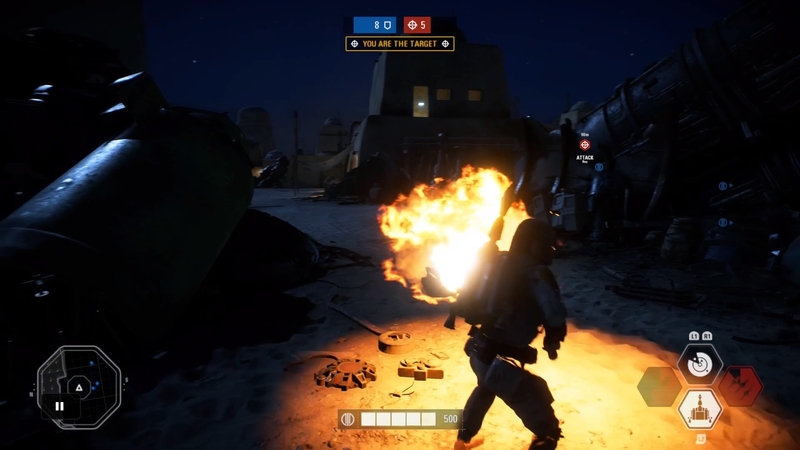 And in BF2015 it wasnt that much and if you like in the movies the red glow isnt ridiculous aswell so why here it suddenly does?